The Go-Cart Rolling Shrink Wrap Film Rack is on 8" casters and will hold two (2) rolls of shrink wrap weighing 200 pounds each, up to 66" in width. This item ships in 2 boxes. 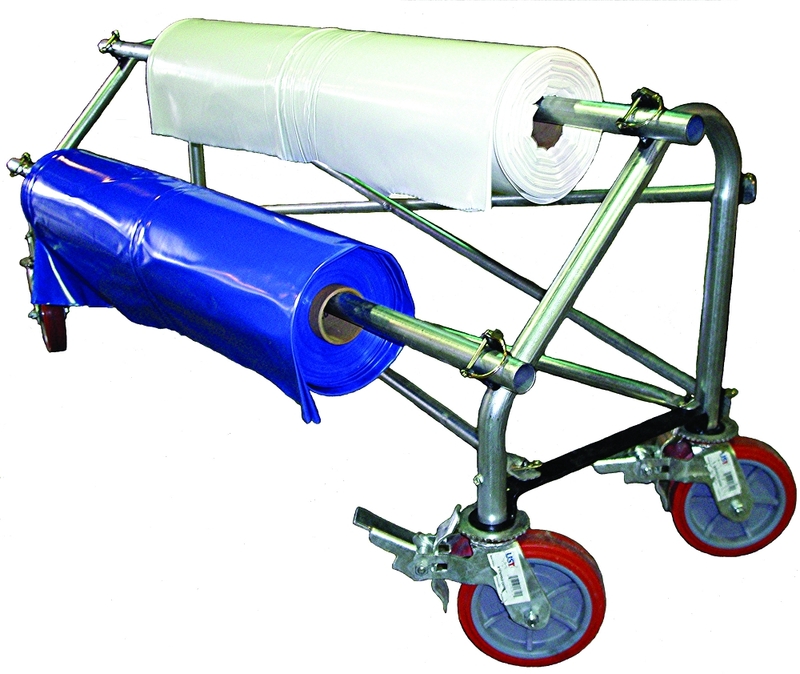 The Go-Cart Shrink Wrap Film Dispenser makes the installation of shrink wrap much easier for you. The rack is easily maneuvered on it's large wheels, which lock for your convenience.